The evolution of fish began about 530 million years ago during the Cambrian explosion. Early fish from the fossil record are represented by a group of small, jawless, armoured fish known as ostracoderms. Jawless fish lineages are mostly extinct. An extant clade, the lampreys may approximate ancient pre-jawed fish. 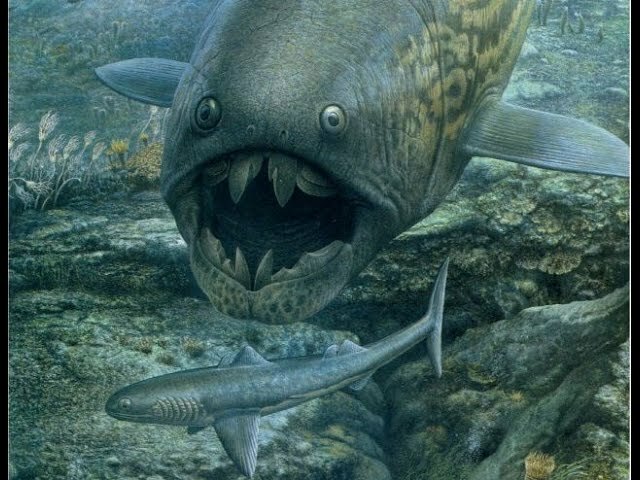 The first jaws are found in Placoderm fossils. The diversity of jawed vertebrates may indicate the evolutionary advantage of a jawed mouth. It is unclear if the advantage of a hinged jaw is greater biting force, improved respiration, or a combination of factors. The evolution of fish is not studied as a single event since fish do not represent a monophyletic group but a paraphyletic one (by exclusion of the tetrapods).